A Caring Heart / CHOICE Advisory Services, Inc.
We provide free senior housing and care referral services to older adults and their families. 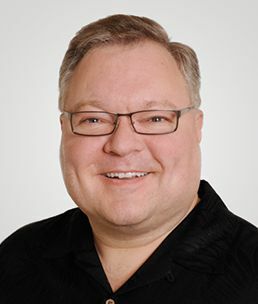 Les Ostermeier has helped thousands of families in the past twenty years who were struggling to make decisions regarding assisted living, adult family homes, memory care, nursing home care and in-home care in the Vancouver, Washington – Clark County, Washington area. During his career in the senior housing industry, Les has been a director of a memory care community, and served in the role of admissions/marketing representative at four area retirement and assisted living communities. Les has also had the experience of being a CHOICE client, receiving guidance from staff members at CHOICE Advisory for his own mother as well as his mother-in-law. Before getting started, you’ll need to fill out and submit CHOICE Advisory’s Disclosure Statement and Information Release form. Click on the button below to fill out the form. Adult family homes are residential long-term care facilities that provide personal care services, as well as room and board for up to six adults. For individuals who require assistance with everyday activities such as meals, medication management or assistance, bathing, dressing and transportation. Long-term skilled nursing facilities that cater specifically to patients with Alzheimer’s disease, dementia and other types of memory problems.